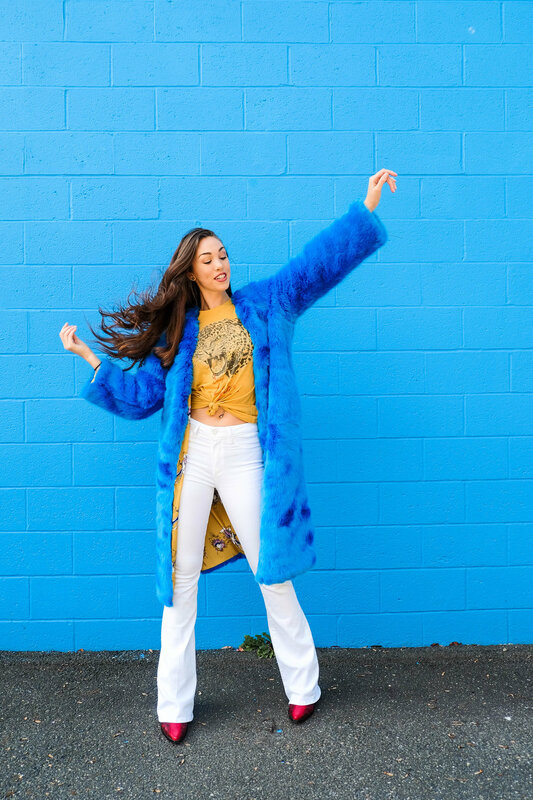 It's hard to feel blue while wearing this coat. 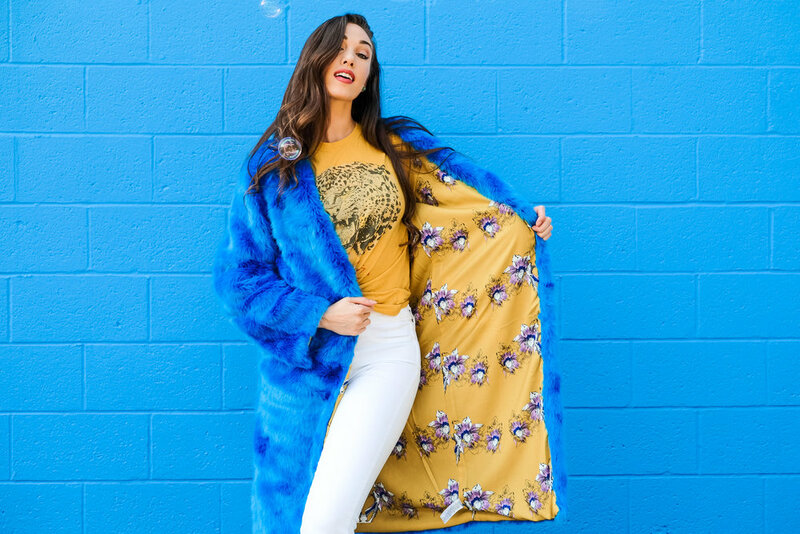 Yeah, it may look like cookie monster at first but the faux fur is seriously soft and the complementary yellow lining really takes it to the next level. Pair it with an array of colours like I did here, or add it as the cherry on top of an all black ensemble. Either way, you're sure to stand out. Shooting this look was So. Much. Fun. I was literally laughing almost the entire time. My best friend came along for the ride and deigned to be my personal bubble blower just to add something extra to an already extra look! I'm so happy that my vision could become a reality. Outfit details below!